Have you ever wondered about the extent to which peer groups affect academic performance? Make no mistake; a peer group can impact your child's academic performance significantly. However, to say that one's peer group is the most influential factor in academic performance isn't true either. Let's take a look at just how influential one's peer group is. According to a study published by the Williams Project on the Study of Economics in Higher Education, stronger students do have an impact on their peers and actually help improve the overall academic performance of the peer group. In a comparison of students surveyed, 36% of African American 4th grade students stated their friends make fun of smart students or those that do well. However, by 8th grade only 23% of African American students agreed. 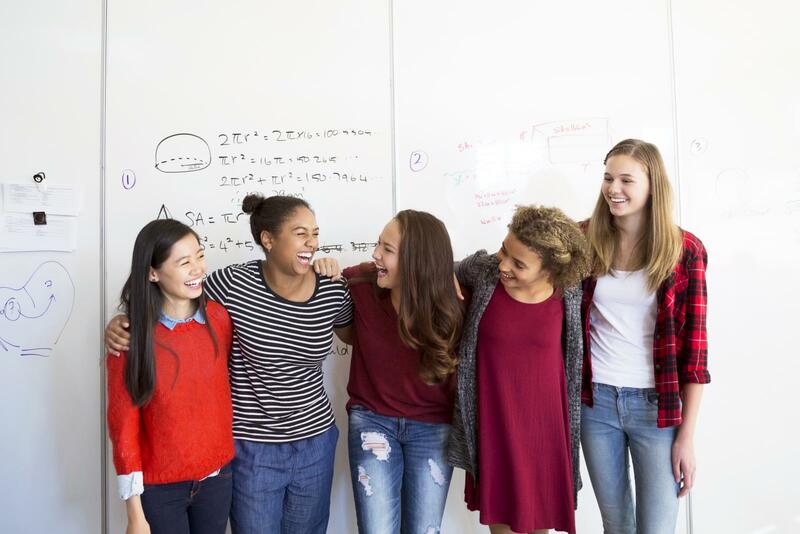 A large study done by CREDE (the Center for Research in Education, Diversity and Excellence) suggested that peer groups can "exert extraordinary influence" during early adolescence on personal goals and school aspirations. A study by the American Journal of Educational Research showed that there was a "significant difference between students that belong to peer group and those that do not belong to peer group on the academic achievement of chemistry." A study of 11th graders showed that they were "highly responsive" to what their peers in their class were doing, and this affected their decision making. Experts do agree that peer groups can have an influence on academic performance. However, they don't agree on the extent and variables of that influence. There are several ways in which peers influence each other. Not all of them are bad. Variables of peer influence include the ethnicity of the students, the socio-economic background of the students, family relationships and group interests. In some peer groups, being smart is looked down upon. Similarly, these groups tend to share low aspirations of going to college or getting certain careers. There may be other values in place, such as taking care of the family or making money sooner rather than going to college first. In addition, studies suggest that peers influence each other more heavily in the early teen years. For example, 14-year-olds are more likely to engage in risky, self-destructive behavior than 18-year-olds are. The theory is that by 18, a young man or woman is more autonomous and has clear aspirations of where he or she wants to go and how to get there. Consequently, if risky behavior doesn't fit into the equation, an older teen is able to pass easily without feeling badly. However, the pressure to fit in for someone entering high school is tremendous. Many peer groups can be a positive influence on their friends as well. It is thought that intelligent students help their peers bring up their grades. Likewise, girls with good friends who are considered intelligent tend to do better in school. There definitely seems to be a pattern in the influence of studious kids. With that said, another common theme is similar aspirations. Students that want to go to a four-year college tend to hang out with others with similar aspirations. One way of looking at influence from a parental perspective is to consider that your child will most likely be friends with students who are interested in the same activities. 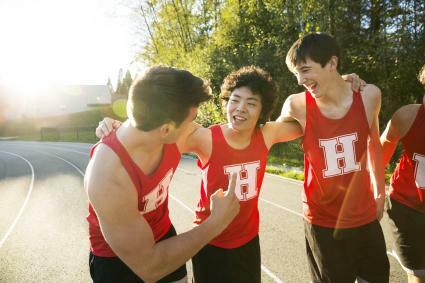 Most high school activities require a certain GPA and consequently, kids who are involved in school sports, drama, student council and other activities tend to do better in school. However, it's important to note that peer influence is not the most important factor on a student's academic success. There are several other variables that affect academic success, and some argue may actually be more influential than peers. Across the board, when taken into account with other factors including ethnicity, socio-economic factors, and even education of parents--parental involvement is an important influential factor in academic success. Teens who have parents who are involved in their lives and generally know what's going on at school are more likely to attend four-year colleges. Positive adult role models help solidify a student's path on the road to academic achievement. Be it a mentor, or someone in the family, a role model can make a big difference. Setting high expectations for a student can make that student think twice before engaging in risky behavior that might "disappoint" his mentor. Students who believed that education was a means to pursue something higher and/or believed that education was valuable tend to do better in school. One may well argue that this attitude again stems from parents, although teachers can play a significant role as well. How Influential Are Peer Groups? It would seem that while peer groups are fairly influential, involved parents are even more so. Peers can influence each other both positively and negatively.